The Parc de l’Aventure in Montalivet. 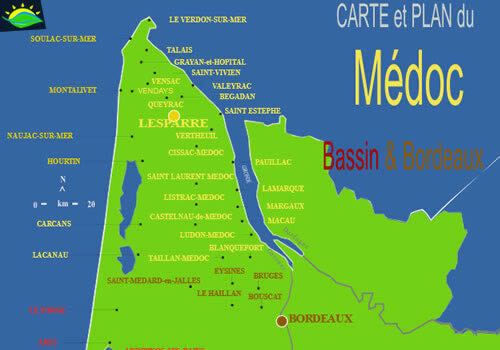 The Forest Adventure Park ( La Forêt de L'Aventure) of Montalivet is found at the entrance of the village. The ideal out door activity. 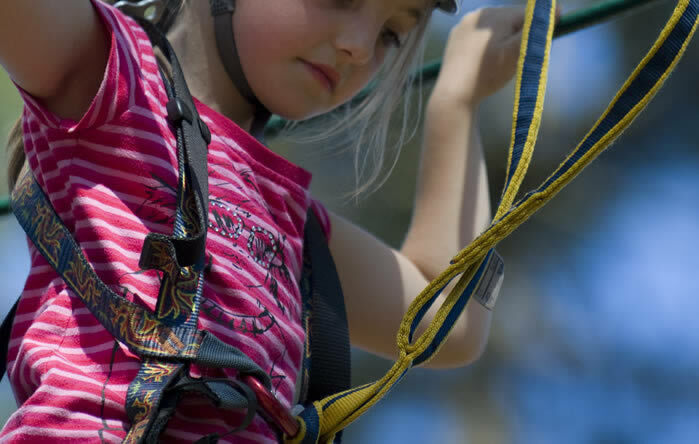 Discover the forest using monkey bridges, beams, rope ladders, nets and tyrolean lines (zip lines). 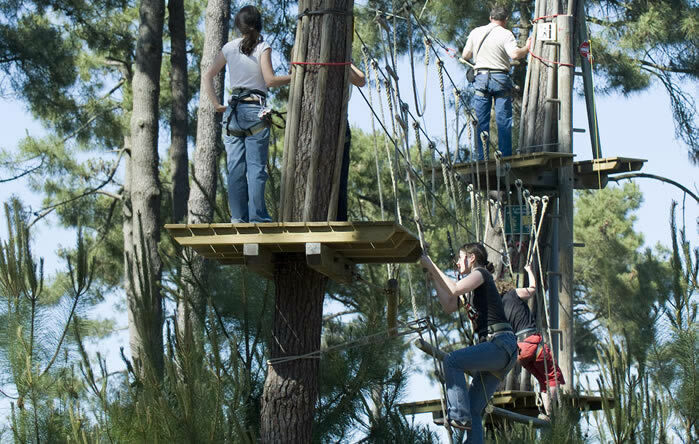 An adventure activity park situated in the Pine forest of the Medoc. A qualified guide will survey your progress. All equipment is demonstrated before use. This is a safe sport open to all of the family. Mini Forest Adventure is open to all over 110cm tall. 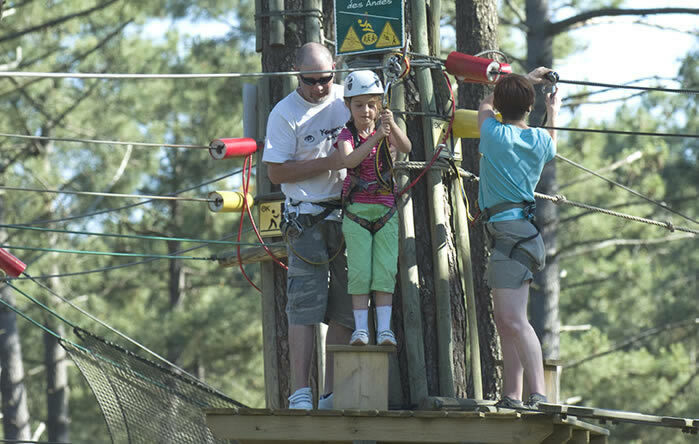 The main activity park is open to all over 140cm with an average time of 2hrs 30 min's of thrilling activity. This is an all weather activity. Discounts for groups (10 people) and students. 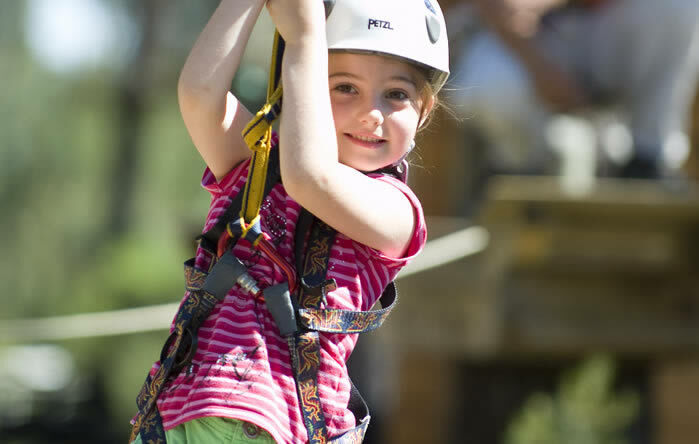 Contact us direct for for your days "Journey Enterprise" at the La Forêt de L'Aventure, Montalivet. .
A totally safe Forest Adventure circuit designed for you to accompany your children of 5 years and older ( minimum height 110cm.) 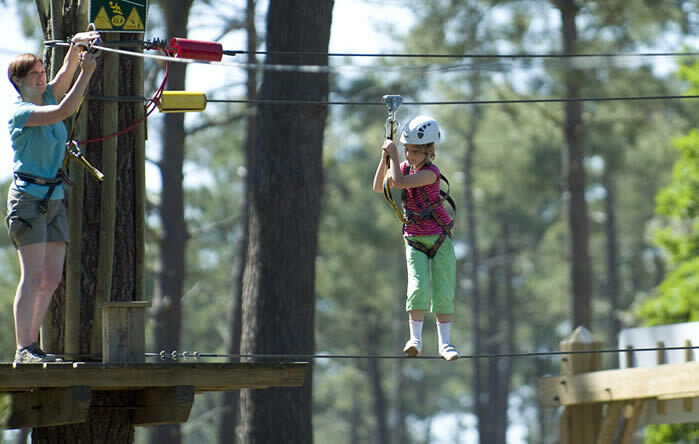 The Little Adventure forest is available as a stepping stone for those who hesitate to try the main circuit. 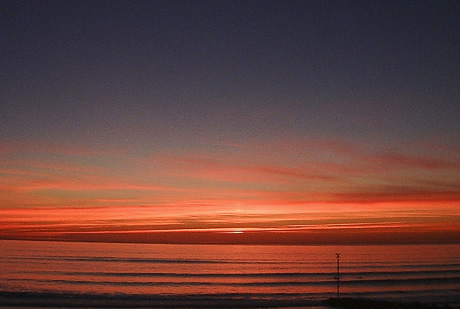 Montalivet is the ideal place to enjoy new sports and adventure activities. 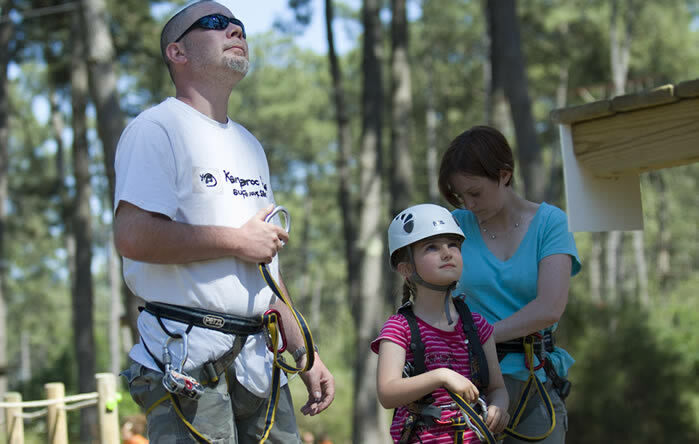 Discover the Medoc forest in an original way with family and friends as you disappear into the forest for a new kind of adventure.